Hi, I’m Meg Schwamb (normally from Planet Hunters and Planet Four), but not to fear, I’m not here to talk about planets. 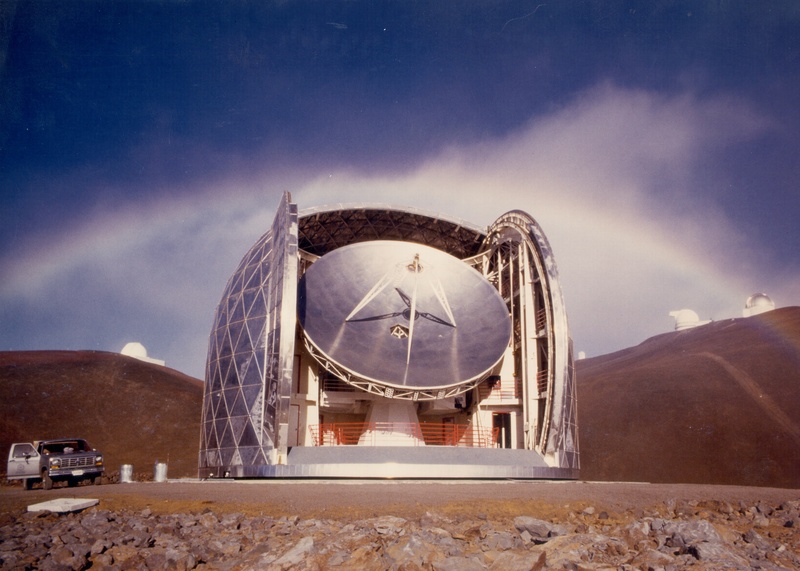 With the Oxford Galaxy Zoo Team, I’ve been helping to observe on the Caltech Submillimeter Observatory on Mauna Kea. Chris blogged about our first night. I thought I’d give a quick update, before final preparation for the start of tonight’s observing. It’s been quite a world-wide effort. I’m currently based in Taipei, Taiwan. So I’m remotely logging into the telescope and instrument controls from home while Chris, Brooke, and Becky have been logging in remotely from Oxford Zooniverse HQ. Then we’re in a Skype call, so we can communicate and know who’s commanding the telescope and helping support the person running the observation. 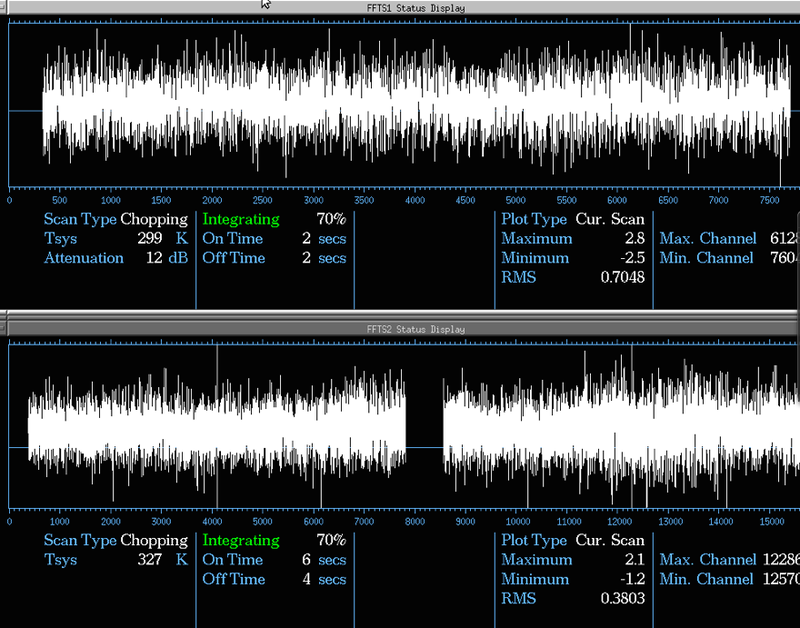 Chris and the Zooniverse’s Rob Simpson talked more about the details of why we’re observing with the CSO these past few nights and what the experience has been like on their latest episode of Recycled Electrons, which you can find here. The weather the past few nights hasn’t been great, we were closed Sunday night in Hawaii, we opened part of the night last night and closed due to high humidity in the middle of the night and never reopened. A few hours ago, the primary observers whose time this is, made the call that the conditions are not good enough for their project, but they are good enough for us to observe. Since I’m 7 hours ahead of the UK, one of my tasks is to be checking the Mauna Kea weather reports and waiting for the decision from the lead observer of the primary program. So about an hour ago, I phoned to start waking up the Oxford team. The conditions are looking pretty good on the mountain. So I think we’ll have a smooth night in turns of humidity and wind. The optical depth is looking as good as our first night. I’m off to start my final checks and preparations, as I’m the lead observer of tonight’s observers (which includes Becky and Brooke in Oxford), so I make the calls of when to open, close, when we move to the next target. If things are moving smoothly, we’ll try and update the blog occasionally. 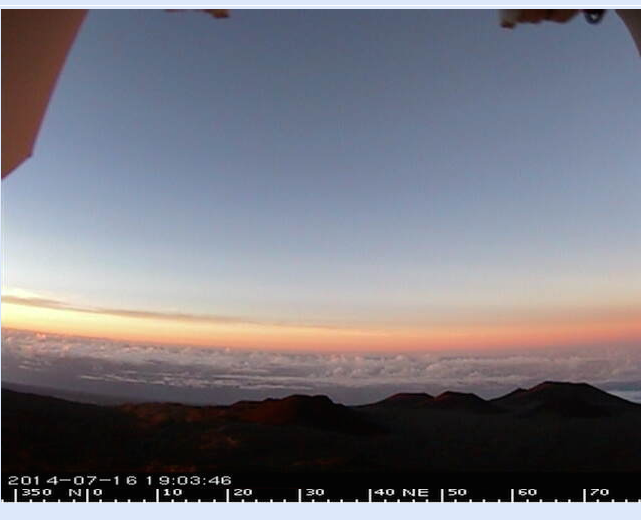 In the meantime, enjoy the view of sunset from of the CFHT webcams on the submit of Mauna Kea. 1:03am Hawaii time- We’re still on the same target. We were thinking of maybe moving off, but decided to stay on to see what some other features in the data look like with more time. We’ll be moving to our end of night source in about 40 minutes, and sit on that for the next several hours. Becky and Brooke are driving the telescope (Meg). 4:05 am – We’ve decided to stay on the same source for the rest of the night. So we’re just going to be sitting and taking observations on source then a system temperature calibration and then back to observing on source for the rest of the night. We shut an hour before sunrise so around 4:42am Hawaii local time (Meg).